Random Displays or Ingenious Marketing Strategies? Houston Billboards: Random Displays or Ingenious Marketing Strategies? Houston has recently showcased some intriguing billboards. 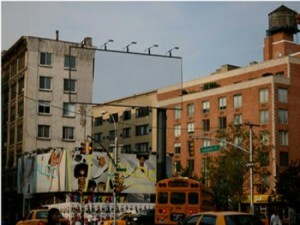 One of these is the “invisible billboard” that features large photographic images of the sky and trees. If you commute into Houston from outside the Loop, it’s likely that you have come across some of them. What the puzzled commuters probably do not know is that these billboards are the work of artist, Karyn Olivier. The title of her exhibit is “Inbound: Houston” and can be seen from October 26th to November 22nd. There are a total of 13 billboards across Houston featuring photographic images of what you would see if the billboards didn’t exist. Another perplexing billboard that gave no indication about what was being advertised or by whom, was the billboard with a white backdrop and the word “YOU” in bubble letters. The non-descriptive billboards have recently changed to include the HTC TouchTM Pro2 phone as the “O” in “YOU”. This two-stage billboard campaign is an innovative way to capture consumers on the go. Your first reaction is confusion, which transforms into a memorable brand experience. What will marketers think of next? If you are looking to create a traffic stopping billboard campaign, contact MARION to get the creative wheels turning.